Read how our customised Digital Asset Management software has helped streamline processes at GUINNESS WORLD RECORDS. GUINNESS WORLD RECORDS is the universally recognised authority on record-breaking achievement. For over 60 years, people across the globe have been enthralled by an ever increasing number of record challenges and achievements. Currently, GUINNESS WORLD RECORDS have over 2000,000 records in their database. The GUINNESS WORLD RECORD for farthest arrow shot using feet is 6.09 metres. It's held by Nancy Siefker. GUINNESS WORLD RECORDS approached Asset Bank in 2013. They wanted a Digital Asset Management system to centralize all their brand assets in one location. They also wanted to find a more efficient means to collect all the media involved in a record attempt including text, videos and photos. 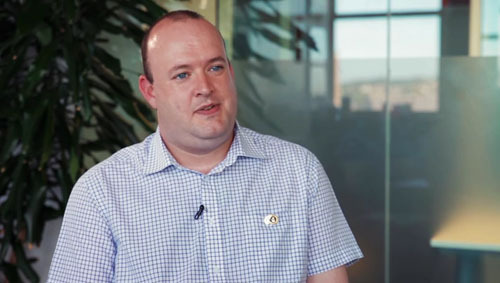 One of the strengths of Asset Bank's Digital Asset Management software is that it is highly customisable so we were thrilled to work with GUINNESS WORLD RECORDS on this challenging brief. 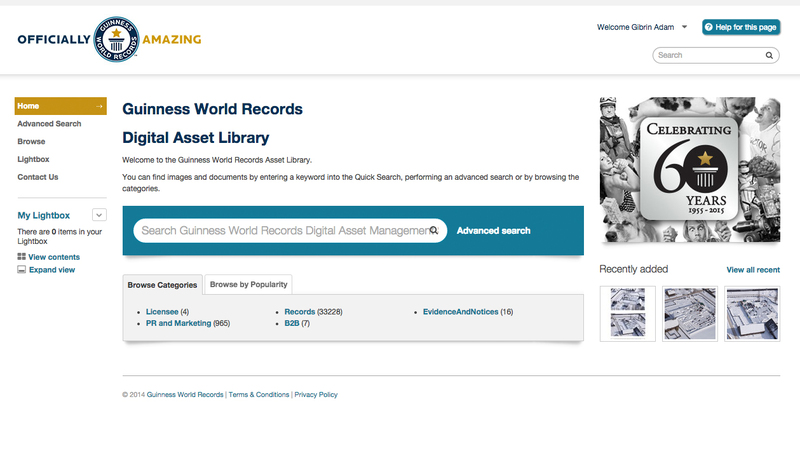 The final solution provided GUINNESS WORLD RECORDS with all the usual Digital Asset Management functions they needed. The enhanced record collection functionality is achieved by integrating their Asset Bank with their record database. Users can submit all the evidence and information for their record attempt via guinnessworldrecords.com, including text, images and videos. Using a REST API all this data is then transferred and categorised into their Asset Bank ready for staff to process. This content is then available to GUINNESS WORLD RECORDS and their partners for use in their books and on their website. GUINNESS WORLD RECORDS' Digital Asset Library. GUINNESS WORLD RECORDS' Asset Bank was launched in Feb 2014 and it's already showing its worth. "We introduced Asset Bank so we could centralize all of our assets in one place instead of each local market having their own material. The change has been amazing, we have reduced workloads and made everything easy to find. Asset Bank is relatively simple to configure for an admin and intuitive for the end users so almost no training was required. We've now opened the doors to our partners and are hearing nothing but good things." You can also watch this short video interview filmed with Rob in 2015.